CPS Unit No. 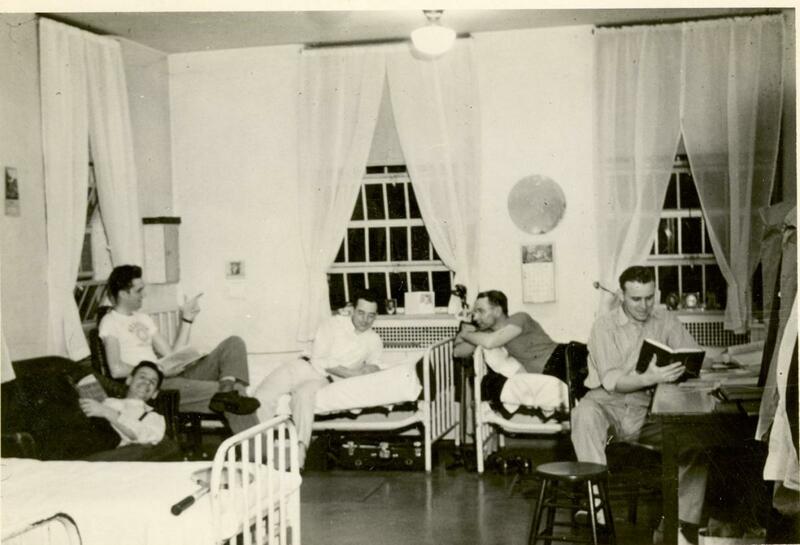 90, a Mental Hospital unit at Ypsilanti State Hospital near Ypsilanti, Michigan operated by Mennonite Central Committee, opened in March 1943 and closed in October 1946. 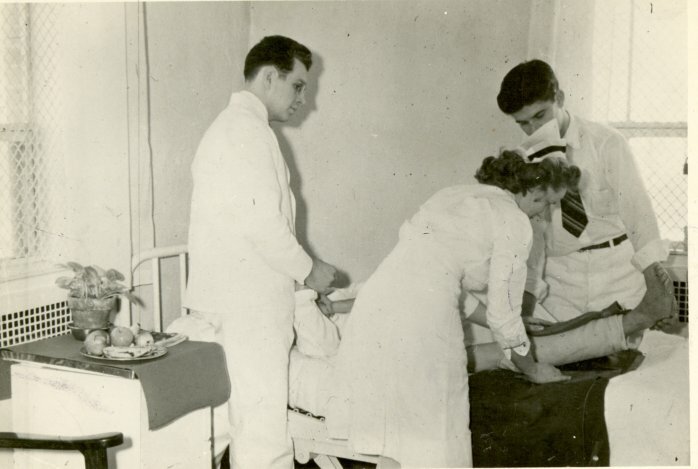 The majority of the men served as ward attendants. Civilian Public Service, camp 90, Ypsilanti, Michigan. Bull-session in dormitory in the single men's quarters on A 2-1. Left to right: Daniel Diener, Ralph Buckwalter, Lloyd Conrad, Lawrence Hilty, Lawrence Greaser. Civilian Public Service, camp 90, Ypsilanti, Michigan. Vincent Kraybill, Mrs. Waldo Janzen, Roman Slabaugh. Civilian Public Service, camp 90, Ypsilanti, Michigan. 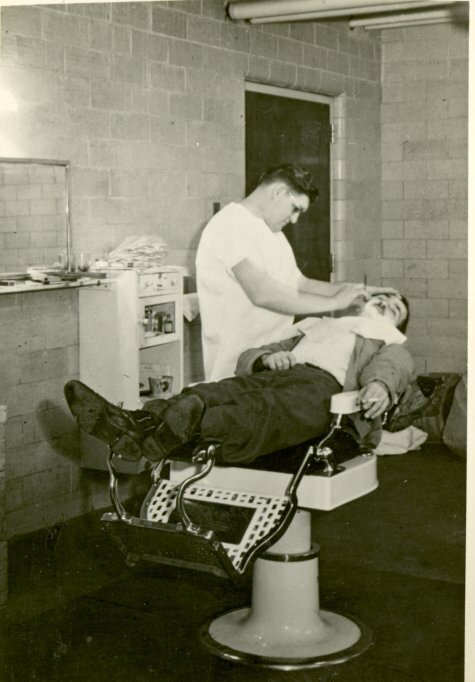 Ralph Pletcher shaving patient. Civilian Public Service, camp 90, Ypsilanti, Michigan. 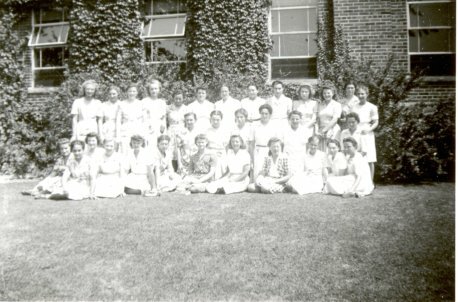 A group picture showing most of the girls in the unit. Letter from Lotus Troyer to J. N. Byler, May 1944. Letter from Robert Kreider to Dr. O. R. Yoder, October 1944. "Diary of an Ypsilanti, Michigan, C.O. Girl"